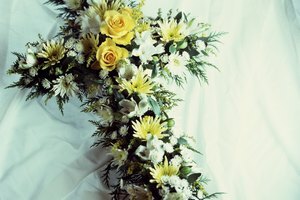 What Should a Pastor Do for the Bereaved? Show your respect by serving food at the post-funeral gathering. The loss of a loved one is devastating and the family is left to grieve for quite some time. 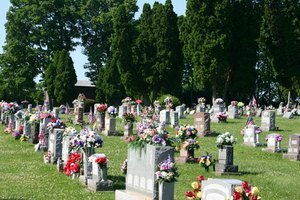 They are often overwhelmed with funeral arrangements and other obligations. Friends may feel the need to help in some way, but are often uncertain how to offer their assistance. 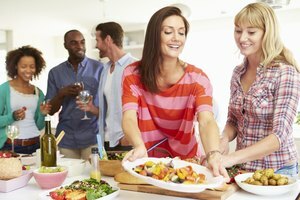 Although post-funeral gatherings are usually hosted by the family, friends and acquaintances can offer their support by helping out with food and clean-up. It is common for mourners to gather following a funeral. The gathering is usually held at the home of the deceased or a family member. However, the gathering may be held at another location such as a hall or restaurant. The gathering may be private and held just for family members. If the gathering is open to all mourners, the family may let the funeral director know so that it can be announced at the funeral. If the gathering is open to all, it is good funeral etiquette to attend to show respect for the deceased and the family. If the family does not have the space to host a gathering or the funds to rent a location, it would be feasible for a close family friend to offer a location or to assist with the gathering. However, it is best to speak with family members in private when offering assistance. 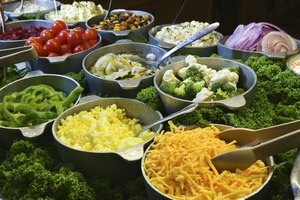 It is common practice for people who attend a post-funeral gathering to bring food they have prepared or to purchase ready-made food such as a meat tray or dessert. If several gatherers contribute a food item for the lunch or dinner gathering, it can be less stressful than the bereaved family having to provide all of the food for the mourners. Even if a gathering is not planned, many people choose to take gifts of food such as a fruit basket to the bereaved family. Families are often overwhelmed, tired and feeling down following the death of a loved one, and thoughtful edible gifts can lift the burden of preparing a meal. If you bring food in your own container and would like the container back, mark the container with your name so that the family knows who it belongs to. You can also help out with the post-funeral gathering by serving food and cleaning up afterwards. Even if you brought food items to the gathering, you may feel inclined to help in any way you can. While most gatherings are self-serve, you can assist children or elderly family members by filling their plates and serving their food. You can also contribute by bringing items such as paper plates, cups and garbage bags to make clean up easier. Once the gathering is over and most of the mourners have gone home, you can offer to stay and clean up. If you are invited to the post-funeral gathering and are unable to attend, it is good etiquette to acknowledge the invitation by sending a note. You can send a sympathy note to the family expressing your apologies for not being in attendance. You can also send a gift of food, flowers or a plant to the home to express your heartfelt sympathy for the family. You can also call or drop by the home in the days following the funeral to present a gift or sympathy note, or to express your condolences. What Is the Etiquette for Potluck Leftovers? Zagata, Darlene. "Etiquette on Gathering After a Funeral." 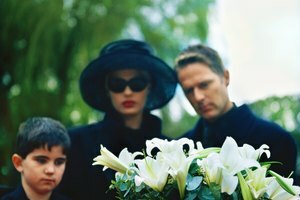 Synonym, https://classroom.synonym.com/etiquette-on-gathering-after-a-funeral-12084789.html. 29 September 2017.